Support Independent Theatre At Its Best! 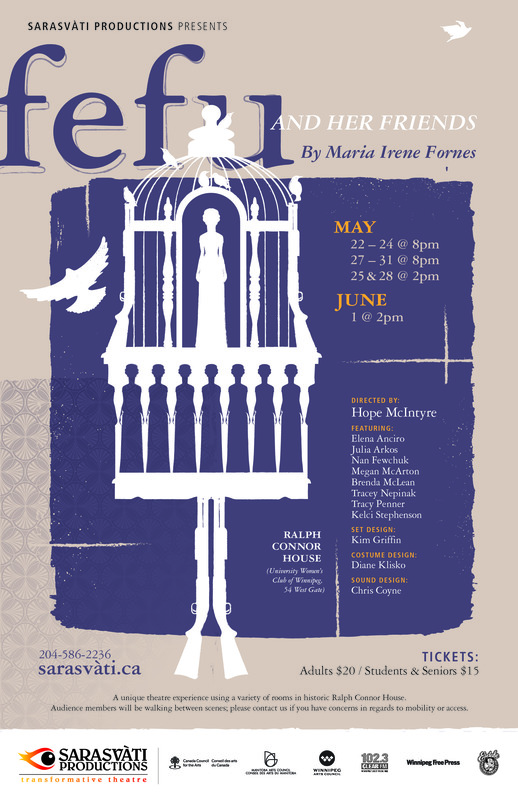 We are extremely excited to be producing Fefu and Her Friends by Maria Irene Fornes from May 22 to June 1, 2014. It is a huge show with a cast of eight local women and a heritage house setting. We promise audiences a truly unique experience. We have just a few weeks left in our fundraising campaign for the show. Every little bit counts so please consider making a donation . We will only be selling 60 tickets per night so another way to support the show and make sure you don’t miss out is to get your tickets early.